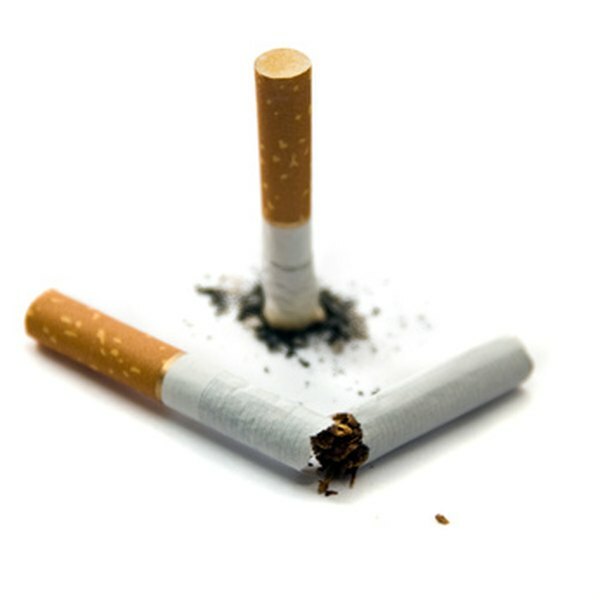 Chantix, also known as varenicline, is a drug that helps people quit smoking. It works by inhibiting the pleasant effects of nicotine in cigarettes. This is different than other smoking-cessation aids, such as patches or gum, in that Chantix does not contain nicotine. While the smoker might still crave the nicotine from cigarettes, he will no longer get any stimulus from smoking. Smokers that are just quitting smoking should begin with the Chantix starter pack. Take the following dosages with a full glass of water after a meal for 14 days while continuing to smoke, unless otherwise instructed by a doctor. Take one 0.5 mg pill a day for three days. Take one 0.5 mg pill of Chantix in the morning and one 0.5 mg pill in the evening for the next four days. Take one 1 mg pill of Chantix for the next seven days. Contact a doctor if you get any unusual changes in attitude. Chantix can cause depression and suicidal thoughts and tendencies. Patients with a history of mental illness are more at risk of negative side effects. Scott Nelson began writing professionally in 2005, contributing to online publications. He is pursuing a Bachelor of Arts in humanities at the University of Washington.